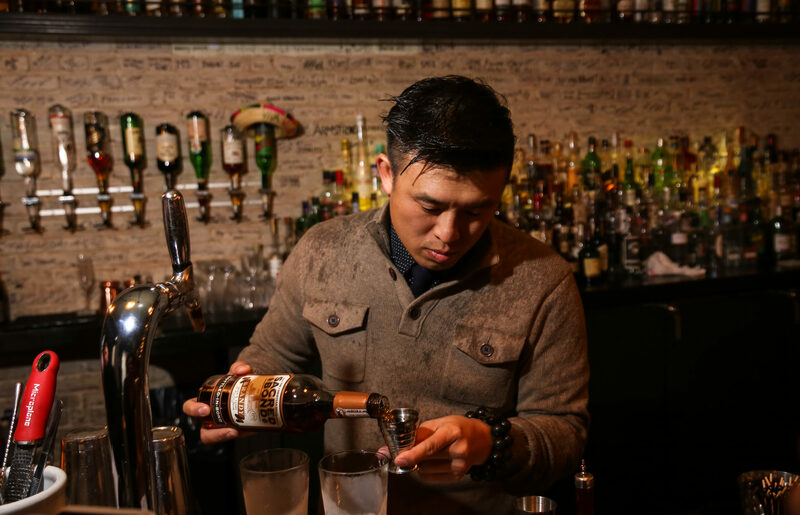 BARDSTOWN, KY – Vay Su, bartender at Republique in Los Angeles, announced as the Heaven Hill Brands and Liquor.com Los Angeles finalist for the 2019 Bartender of the Year Competition. Su won first place, $1,000 and a trip to the finals at Half Mile Farm in Highlands, North Carolina. In the second round of the semifinal competition, contestants created the inspired cocktail submitted as a recipe in the preliminary round. Inspired by an unforgettable night in Kyoto, Japan, Vay Su crafted a cocktail that stirs up warm memories with top-notch skill. Robin Wolf of The Hatch Rotisserie & Bar in Paso Robles, Calif. won second place and $500. Six semifinalists competed regionally in Los Angeles on Monday, Jan. 14 at The Normandie Club. Bartenders competed in three rounds, the first two featuring the classic cocktail and inspired cocktail from their preliminary submission. For the final round, bartenders created a custom drink for a fictional bar menu using a minimum of 1.5 ounces of at least one Heaven Hill brand not previously featured in one of their cocktails including Domaine de Canton French Ginger Liqueur, Elijah Craig Small Batch Bourbon, PAMA Pomegranate Liqueur, and Rittenhouse Rye Whisky, as Dubonnet Rouge Aperitif, Sacred Bond Brandy, or Lunazul Tequila. Contestants and judges were then invited to a family dinner at a.o.c. and professional development before the winner was announced. Julian Cox, Director of Bar Operations and Development at Tartine, created a cocktail utilizing Heaven Hill products and spoke to his inspiration behind it, as well as the journey to reach this point in his career, before the winner was announced. National Brand Educator for Heaven Hill Brands Lynn House, Bar Manager of Clyde Common & Pépé Le Moko Jeffrey Morgenthaler, and Cox judged the semifinalists’ cocktails and chose one finalist based on highest scores. Contestant skills and cocktails were scored on flavor, appearance, presentation, technical skills, use of sponsor brands, and adherence to judges’ guidelines. More than 1,100 original cocktail recipes were submitted online nationwide beginning September 15, 2018. Preliminary entries required two original cocktail recipes, one rendition of a classic recipe, and one relating to an inspiration, along with a short description of how the cocktail represents a deep inspiration to their life. The top contestant from each region will go on to vie for the title of Bartender of the Year and $15,000 at Half Mile Farm in Highlands, North Carolina from June 17-20, 2019. Finalists will be challenged on their full range of skills as hospitality professionals. Judges will be looking for the ultimate bartender who displays the total breadth and aptitude all bartenders aspire to embody. Grounded in the original Bartender of the Year Competition hosted by Domaine de Canton starting in 2009, Heaven Hill Brands resurrected the competition due to strong demand from bartenders worldwide. Harrison Ginsberg of The Dead Rabbit in New York City was the 2018 Bartender of the Year and will return as a guest judge for the finals. 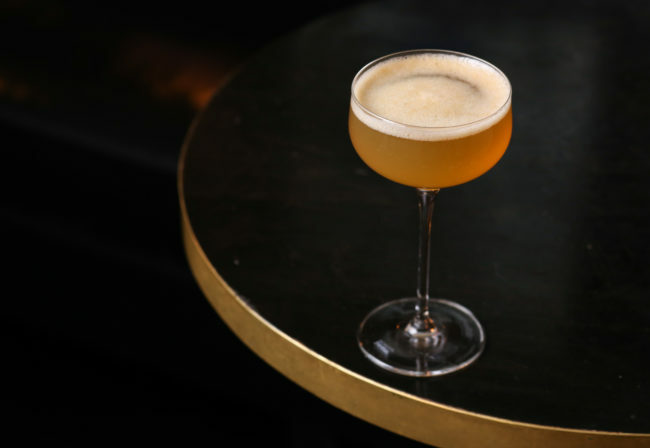 Ginsberg joined an impressive rank of past champions, including Nathan O’Neill from the Nomad Bar in New York City who was named Bartender of the Year in 2017, and Abigail Gullo of Compere Lapin in New Orleans who won the inaugural competition in 2016. Visit the official competition website at www.bartenderoftheyear.liquor.com for complete competition details. Combine 500ml of Yuzu Juice, 200ml Kyoto Green Tea, 2 Tablespoon of Japanese Allspice, 500ml Superfine sugar, and 100ml Citric Acid. Let it sit overnight. Strain and add 500ml hot milk, let it sit at room temp for an hour, then put it in the fridge overnight to let the milk set and clarify. Fine strain with a superbag or coffee filter till cordial is clear. Add Rittenhouse, Elijah Craig, and Yuzu to shaker, shake hard. Fine strain into an Air Coupe. Add soda water. Express Meyer Lemon Twist and Discard. Cheers! About Heaven Hill Brands: Founded in 1935, Bardstown, KY-based Heaven Hill Brands (www.heavenhill.com) is the nation’s largest independent, family-owned and operated spirits producer and marketer and the world’s second-largest holder of Kentucky Bourbon. 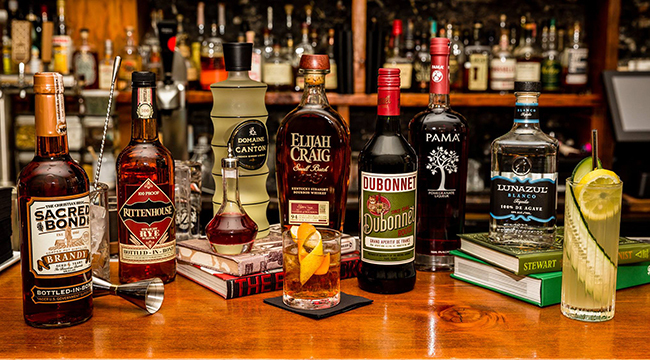 Heaven Hill’s diversified portfolio of brands includes Evan Williams Bourbon; Larceny, Elijah Craig and Henry McKenna Bourbons; Rittenhouse Rye Whisky; Burnett’s Vodkas and Gin; Admiral Nelson’s and Blackheart Rums; HPNOTIQ Liqueur; The Christian Brothers Brandies; PAMA Pomegranate Liqueur; Domaine de Canton Ginger Liqueur; Lunazul Tequila and Carolan’s Irish Cream Liqueur. To view and download more images from this release, click here. 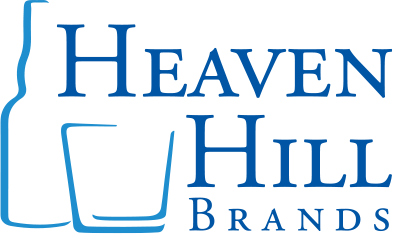 copyright © 2018 heaven hill brands.